I went to see the new Wonder Woman movie on Friday night, and had an absolute blast! It was such a good movie, I can highly recommend it to you all! The story is basically a very extended flashback, which begins with Diana Prince receiving a briefcase from Wayne Enterprises – inside is the photograph that is shown in Batman vs Superman of Wonder Woman during the First World War. Diana then basically goes on a reminiscence that lasts a little over two hours, of how she grew up on the paradise island of Themyscira, and shows us the Amazons in all their fighting glory. Paradise is shattered when Steve Trevor crash-lands a plane on the shores, leading to a group of German soldiers breaking through the magical barrier and battle the Amazons on the beach. While the warrior women are victorious, Diana’s aunt General Antiope is killed. Questioning Trevor, the Amazons refuse to aid in the war, fearing the involvement of Ares, the god of war. Diana, nevertheless, sails with Trevor back to the modern world of 1918, and arrives in London keen to get to the Front. It turns out that Steve Trevor is working as a spy for GCHQ, and had managed to steal a notebook from the mad scientist Isabel Maru, known as Doctor Poison. While the British government fear it useless, Diana translates the text and discovers that Maru is working on a variant of mustard gas that uses hydrogen, meaning that gas masks would be futile against it. GCHQ refuses to sanction any further intervention, but Steve gathers a group of rogues to help him get Diana to the Western Front, and expedition that is granted an unexpected boon when Sir Patrick Morgan, a man propounding the need for an armistice to the War Cabinet, lends his covert support. Trevor, Diana and their small band makes it across to Belgium, where the suffering of the common people affects Diana quite significantly. Refusing to wait any longer, she leaps over the top of the trenches in full Wonder Woman regalia and basically takes the German lines single-handed. Discovering that General Erich Ludendorff (who was actually a real-life figure during this time – the more you know!) is holding a gala reception nearby, and convinced that Ludendorff is Ares, Diana and the team infiltrate the party but Steve stops her from killing him. At the height of the gala, a gas canister is launched at the nearby village they had just liberated, and Diana rages at Steve for allowing it to happen. She rushes off to pursue Ludendorff, who has arrived at a military installation to oversee Maru’s new poison gas loaded onto an airplane to attack London. Diana kills Ludendorff, but is shocked to see that the soldiers have not stopped their work. Ares now makes his appearance, he turns out to be none other than Sir Patrick! He and Diana fight among the compound, causing ridiculous amounts of damage, but Diana is still holding back. Steve manages to hijack the plane loaded with the poison gas, and flies it up into the atmosphere before blowing it up, sacrificing himself to prevent the attack. This sacrifice spurs Diana into resolving to protect humanity, and she finally destroys Ares. This is a really great film! I’m not a big fan of period war movies like this, but it nevertheless managed to sweep me up for the ride! There were a lot of light touches peppered throughout, mainly through the comedy of manners style of juxtaposition with Diana and the rest of the world. Batman vs Superman came under such intense criticism for being so moody of course, so it seemed to be a big thing for the studio to attempt to recapture a lightness from the comics. Reports earlier in the year came in that predicted the movie would be a mess, but I think these are just symptomatic of the current trend to hate on anything that isn’t the MCU. 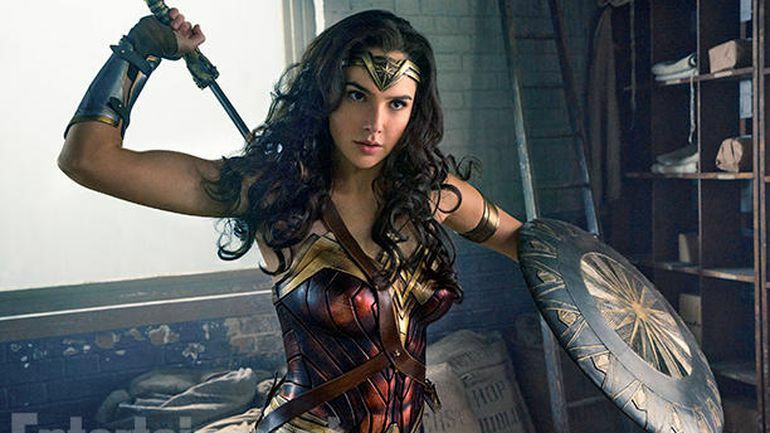 Wonder Woman does a great job of introducing us to a character that we’ve already met within the franchise of the DC extended universe, but also raises a fair few questions – like, what was she doing between this movie and her appearance in BvS? Gal Gadot is currently signed on for three movies, and this is her second. 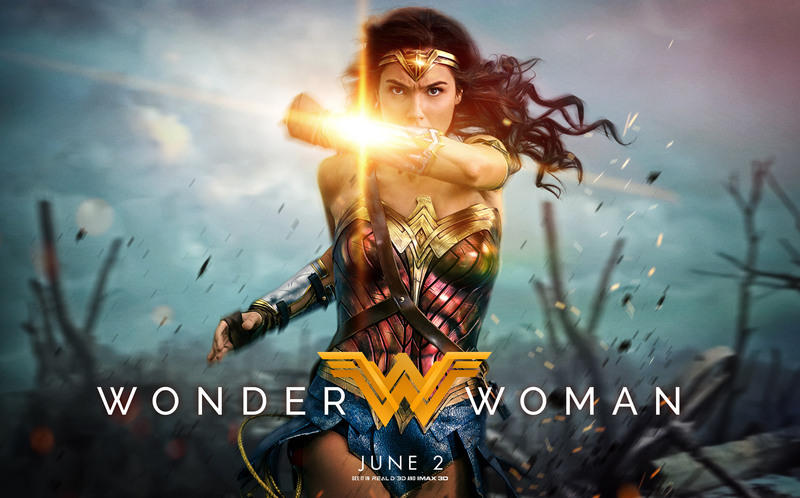 Will there be more Wonder Woman after the Justice League film? Should we get to see what Diana’s up to during the Cold War? The character could easily be taken for a trawl through time like the recent spate of X-Men movies, and if a sequel is anything like this first installment, I’m sold already! Next Next post: Dark Eldar updates!